Welcome to the Three Rivers District Fall Cub Camporee. 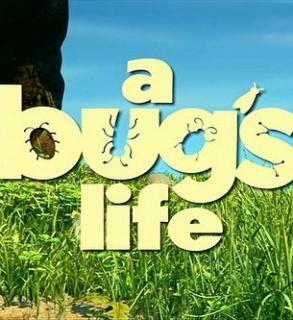 This year’s theme is A bug’s Life. May 12, 2018 and will be based out of Colbert Lodge. Our hope is that your unit will join us as cub scouts participate in activities. separately. Please enter the contact person as the first adult. This person will be responsible for communicating all information to their pack participants. Late registrations are not guaranteed and can be made by emailing Nicole Neft at nicoleneft@msn.com. A confirmation email will be sent. properly trained leaders in attendance. Registration numbers determine the amount of food & supplies needed for the day, we appreciate the early registrations. Anyone working at the camp as staff need to register online also. This fee covers the BSA fee, food & a participation patch. Any event that does not have 50 participants when the online registration closes, runs the risk of being canceled by the three rivers district activity committee. Arrival will begin at 8 am at the main gate the person registered as the contact person online should be the only person checking in everyone from your pack. Please come prepared with an updated roster with names of all of the participants from your unit & payment for anyone that did not pay online. Checks being submitted for payment must be made out to NSC, cost center 283. Maps & event rotations will be handed out at check in. Health forms & shooting sports permission forms must be turned in at check in. Any youth that does not turn in a shooting sports permission form will not be allowed to participate in the shooting sports activates. All units must be checked in by 8:30am and ready at Colbert Lodge by 9:00am for the Opening Ceremony. http://camping.northernstarbsa.org/formsandresources/tabid/2919/ fileld/14445default.aspx. Any cub scout participating a shooting sports activity needs to turn in a shooting sports permission slip at every event. All vehicles need to be parked in their assigned, designated area. Event participants are required to walk between events, cars are not allowed to shuttle participants from one activity or event to another. We strongly encourage carpooling due to the limited parking space available & the large volume of participants expected. In the event that someone from your unit is injured & first aid is need beyond your unit’s abilities, a first responder is on staff at the Three Rivers District cub scout events. while short sleeve shirts may suffice during the afternoon. Dress for the weather, it could be raining, snowing or sunny. Weather can be unpredictable so plan ahead.